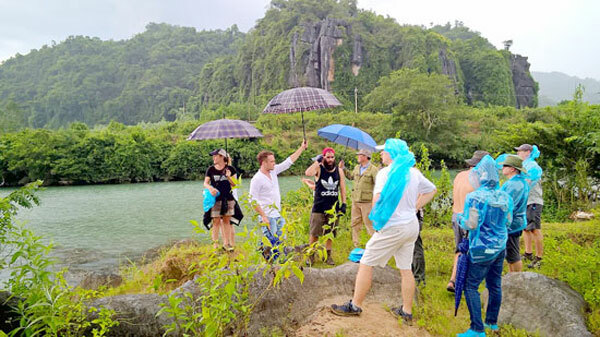 VietNamNet Bridge – Hollywood blockbuster Skull Island, the upcoming King Kong prequel by director and screenwriter, Jordan Charles Vogt-Roberts will be shot in Son Doong Cave in the central coastal province of Quang Binh. Copies of the detailed shooting script along with its synopsis have been submitted for the approval of the Ministry of Culture, Sport and Tourism. The film crew of more than 300 members will travel to Vietnam for the filming in next February. Several local businesses offering location logistics, media production services and among will participate in the project. The film crew has early made a supervision of the location survey plan since August 26 in a lot of provinces and cities in the country. According to Hollywood Reporter magazine, Skull Island will be shot in Vietnam, Australia and Hawaii. The movie will star actors Bire Larson, Tom Hiddleston, Brie Larson, John C. Reily, Samuel L. Jackson and Toby Kebbell. The film is expected to be released in 2017.